Sleep is our natural way of recharging our batteries and cleaning our minds ready for the challenges of a new day. In an increasingly busy world, people are sleeping less and less and not sleeping as well and that can have long-lasting health implications just as serious as poor eating or a lack of physical activity. So, why is consistent and settled sleep so important in a world that seems set on interfering with our natural nocturnal patterns? We might assume that sleep is a purely mental process that exists to help our minds get rid of the extraneous thoughts we build up over the course of a day. However, poor sleep can mean a greater risk to obesity, heart problems and more. The more tired you are, the less likely you are to exercise and studies have also shown sleep has a direct impact on our metabolisms. Sleep-deprived individuals are also more likely to eat more during the day due to how sleep affects our appetites. Depression, anxiety and other mental illnesses have all been linked to poor quality sleep. Indeed, almost all sufferers of these illnesses report having difficulty sleeping. It’s very much a case of one leading to the other here, with depression often leading to poor sleep and poor sleep leading to more severe depression. Sleep loss also means you will be less inclined to interact socially with others and read important social cues, which can just compound the problem. 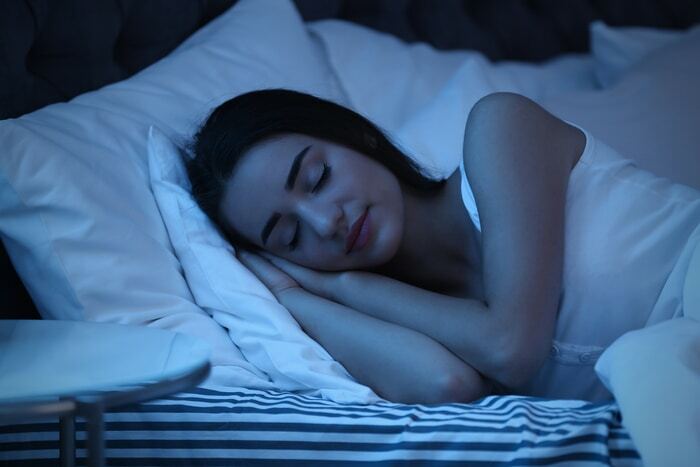 Good quality of sleep is absolutely vital when it comes to helping the brain function – particularly when it comes to cognition and concentration. Sleep deprivation has been shown to have a similar effect on the brain as intoxication from alcohol. You would never show up to work drunk, but it could actually be just as bad (form a productivity perspective) to show up having only had a couple of hours sleep the night before. Prepare your room so that it gives you the best conditions possible for a decent sleep. A set of quality Direct Blinds or blackout curtains that block out as much light as possible can do wonders for blocking out the light and making sure you get a full 8 hours without being woken by the pesky sun, particularly in the summer months. Your room should also be cool (around 18C) and free from noise. Stick to a routine. Our body is built to function to an internal clock, so if you’re going to bed at a different time every night it can lead to that clock not knowing where and how to function. Regulate your body clock by going to bed at the same time every night, even at weekends. Exercise is your best friend when it comes to a solid night’s sleep. We live increasingly sedentary lifestyles, so making room in your daily routine for some vigorous exercise can really tire out your body and mind and allow your body to feel like it’s ready for a natural rest. Whenever possible, avoid vices immediately before bed. This means caffeine, cigarettes, alcohol and heavy meals. A light snack and a glass of water before bed won’t do you any harm, but any more than that and you might struggle. Avoid naps. They might seem tempting, but you’ll always regret it when you climb into bed. Jurassic Park IRL: Will We Ever See the Dinosaurs Again?